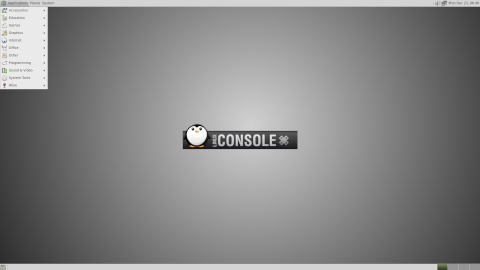 LinuxConsole is an independently developed Linux live CD with different editions designed for desktops, servers, gaming consoles, and old computers. Its primary characteristics are easy installation, extensive choice of software in the form of modules, and excellent hardware detection. 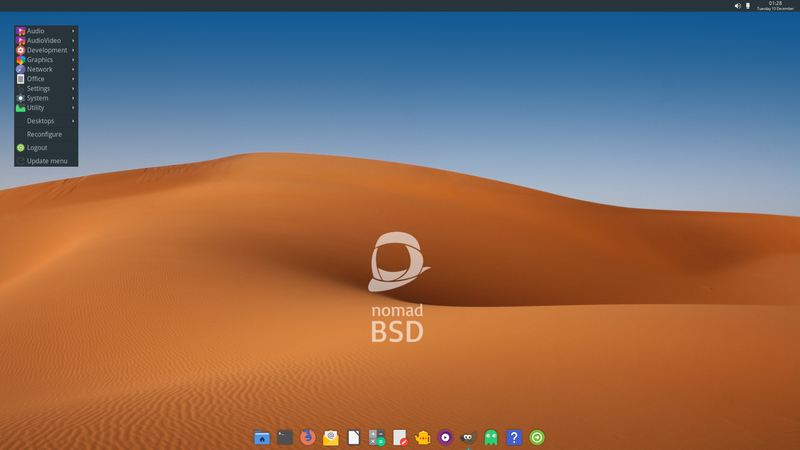 Rate this project NomadBSD is a 64-bit live system for USB flash drives, based on FreeBSD. The project's latest release, NomadBSD 1.2, is based on FreeBSD 12.0. The new version includes on-disk documentation, enables TRIM support and fixes a number of issues related to video drivers. "We are pleased to announce the release of NomadBSD 1.2! We would like to thank all the testers who sent us feedback and bug reports. The base system has been upgraded to FreeBSD 12.0-p3. TRIM has been enabled by default. A vt(4) color theme has been added. The dialog(1) based setup has been replaced by a Qt GUI which supports dynamic translation. Currently available translations are German and Russian. In order to reduce the number of implicit package upgrades and possible inconsistencies, the pkg(8) default repository has been changed to Quarterly. A recent copy of the NomadBSD handbooklet has been added to nomad's home dir. A new option has been added to the boot menu which allows users to set hw.syscons.disable." Further details can be found in the project's release announcement. Download: nomadbsd-1.2.img.lzma (2,110MB, SHA256, pkglist). 2019-04-20 NEW • Distribution Release: Netrunner 2019.04 "Rolling"
Rate this project The Netrunner project has announced the availability of a new snapshot of the distribution's Arch Linux-based "Rolling" branch. 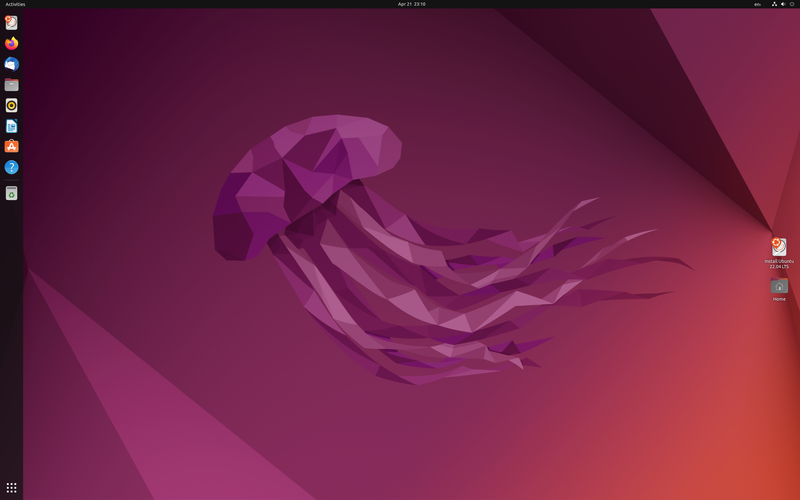 The new snapshot, Netrunner 2019.04 "Rolling", features KDE Plasma 5.15.3 and runs on version 4.19.32 LTS of the Linux kernel. There have also been changes to the distribution's look and feel: "Like its cousin, the Debian-based edition, Netrunner 'Rolling' also ships a dark look and feel theme, including the Kvantum theme engine. Using the Kvantum theme engine plus the Alpha-Black Plasma theme allowed us to create a more 3D-looking design. Moving the mouse into the lower right corner now visibly activates 'Minimize all Windows' to show desktop function by a light glow. For those who prefer the classic look, going back to the well-known LNF is a three-button click and is explained under Tips in our current Readme section. Compared to 2018.08 these are the main updates: KDE Plasma 5.15.3, KDE Frameworks 5.56, KDE Applications 18.12.3, Qt 5.12.2, Linux kernel 4.19.32 LTS, Firefox Quantum 66.0.3 with KDE integration, Thunderbird 60.6." Further details and screenshots can be found in the project's release announcement. Download (SHA256): netrunner-rolling-2019.04-64bit.iso (2,747MB, torrent, pkglist). Rate this project Pop!_OS is an Ubuntu-based distribution developed by System76. The company's latest release is Pop!_OS 19.04 which ships with GNOME 3.32 and offers a number of visual enhancements. "It's spring again! Leaves are budding and updates are blooming for Pop!_OS. 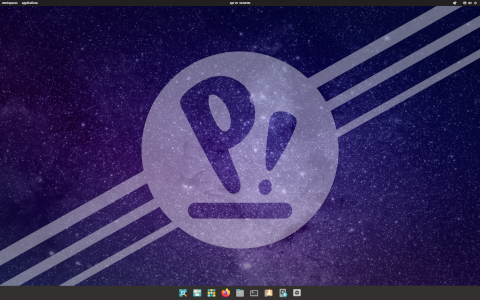 Here's what's new in Pop!_OS 19.04: The Slim Mode option maximizes your screen real estate by reducing the height of the header on application windows. Dark Mode gives your applications a relaxing ambience for nighttime viewing. Both Dark Mode and Slim Mode can be activated in the Appearance settings menu. Refresh Install allows you to reinstall Pop!_OS without losing Users and any data in your Home directories. This feature is available from the recovery partition on new installations (not upgrades). Pop!_OS has been updated to use version 5.0 of the Linux kernel. GNOME has been updated to version 3.32. In addition to these features, you'll also notice design changes to your icons. The icons for Pop!_OS applications, files, and folders have been redesigned to complement GNOME's icons under their new design guidelines." Further information and screenshots can be found in the project's release announcement. The distribution is provided in two editions, one for computers with Intel and AMD video cards, the other for systems running NVIDIA video cards. Download (SHA256) (pkglist): pop-os_19.04_amd64_intel_4.iso (2,119MB), pop-os_19.04_amd64_nvidia_4.iso (2,363MB). Rate this project The team behind Ubuntu Kylin has published a new version of their distribution which introduces a new visual style. 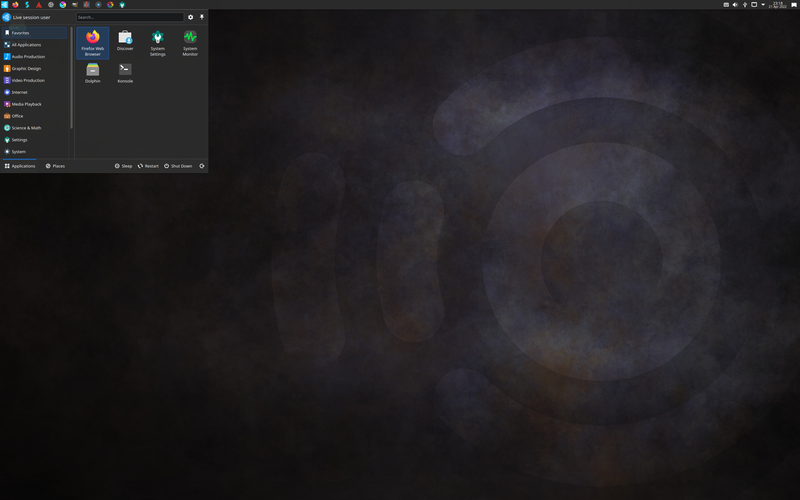 The project's new release, Ubuntu Kylin 19.04, introduces transparency effects to the application menu, adds a preview function to the file manager and provides nine months of support. 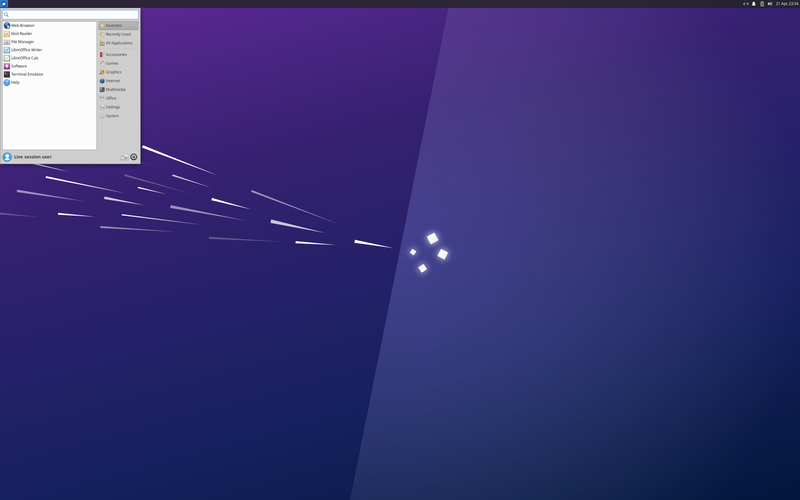 "In April 19th, 2019, We are glad to announce the official release of open source operating system Ubuntu Kylin 19.04 (Disco Dingo). In this version, OS stability is our first goal to obtain. In order to provide a better experience for users, a series of improvements are made on system kernel, basic service, desktop environment and specialized apps. In addition, other open source distribution such as Ubuntu 19.04、Lubuntu 19.04 and Ubuntu Mate 19.04 are released in the same time. We are bringing a whole new visual experience in this distribution, from system choice, boot up animation, log in program to system desktop, a unified style is presented. Amazing transparency effect is utilized on start menu, taskbar and notification area, give your desktop a sense of technology. Practical functions are provided to simplify your daily operations." Further details can be found in the release announcement (Chinese, English). Download: ubuntukylin-19.04-desktop-amd64.iso (2,195MB, SHA256, signature, torrent, pkglist). 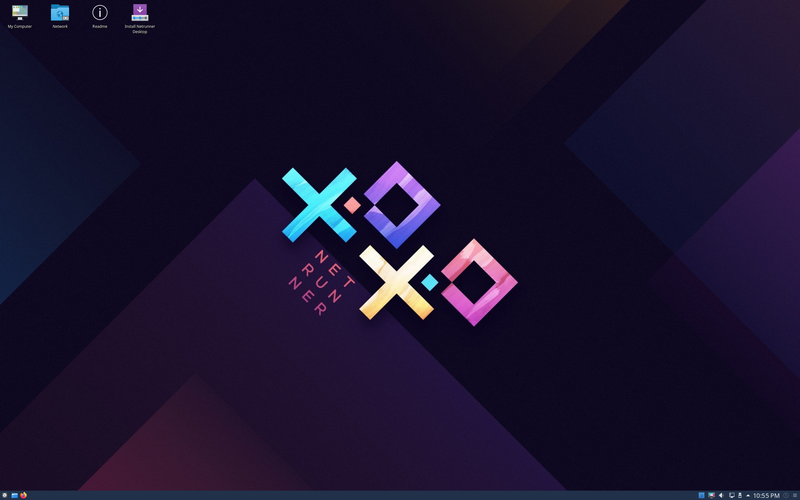 Rate this project The Xubuntu developers have announced the release of Xubuntu 19.04. The new version ships with version 5.0 of the Linux kernel and provides nine months of support. This release ships with some components from Xfce's development branch to improve the desktop experience. The project's release announcement states: "Highlights: Xubuntu 19.04 features a wide range of bug fixes for issues identified in previous releases, many of which have already been backported to the stable releases. AptURL, The GIMP, and LibreOffice Impress have been included to provide a more complete and user-friendly desktop experience. New keyboard shortcuts make it easier and faster to get work done. Shift + Print Screen will capture a screenshot for a specified region. Press F4 in Thunar to open a terminal window in the current path, or press Ctrl + Shift + F to search for files. Many Xfce 4.13 components have been added or updated, providing an updated snapshot of Xfce 4.14 development." Further details can be found in the distribution's release notes. Download: xubuntu-19.04-desktop-amd64.iso (1,517MB, SHA256, signature, torrent, pkglist). Also available from OSDisc. Rate this project The Lubuntu team has published a new version of their distribution. Lubuntu 19.04 provides nine months of support and ships with version 0.14.1 of the LXQt desktop environment. Unlike most other community flavours of Ubuntu which use the Ubiquity installer, Lubuntu uses the Calamares system installer. 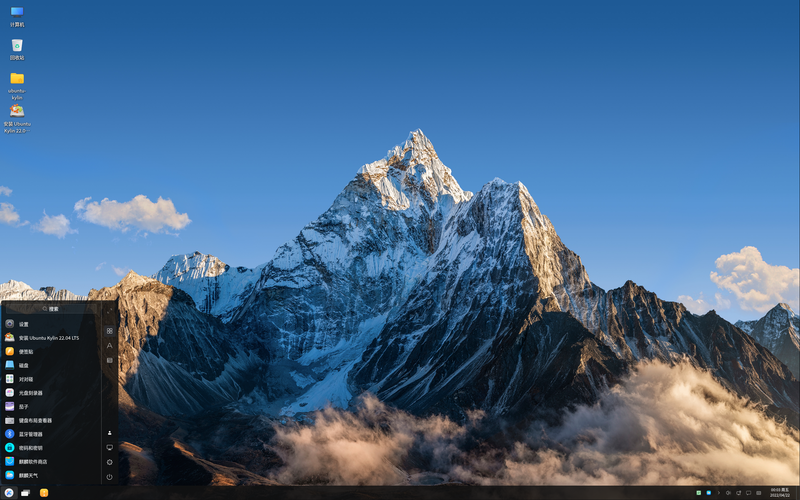 "This is the second Lubuntu release with LXQt as the main desktop environment. The Lubuntu project, in 18.10 and successive releases, will no longer support the LXDE desktop environment or tools in the Ubuntu archive, and will instead focus on the LXQt desktop environment. You can find the following major applications and toolkits installed by default in this release: LXQt 0.14.1; Qt 5.12.2; Mozilla Firefox 66, which will receive updates from the Ubuntu Security Team throughout the support cycle of the release; the LibreOffice 6.2.2 suite, with the Qt 5 frontend; VLC 3.0.6, for viewing media and listening to music; Featherpad 0.9.3, for notes and code editing; Discover Software Center 5.15.4, for an easy, graphical way to install and update software; the powerful and fast email client Trojitá 0.7 to get you to inbox zero in no time." Further details can be found in the project's release announcement. Download: lubuntu-19.04-desktop-amd64.iso (1,580MB, SHA256, signature, torrent, pkglist). Also available from OSDisc. 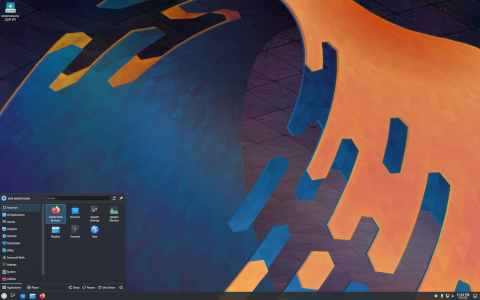 Rate this project The Kubuntu team has published Kubuntu 19.04, a new release which ships with KDE Plasma 5.15, Qt 5.12 and Linux 5.0. The new version includes nine months of security updates. The release announcement states: "Kubuntu 19.04 has been released, featuring the beautiful Plasma 5.15 desktop from the KDE community. Code-named Disco Dingo, Kubuntu 19.04 continues our proud tradition of integrating the latest and greatest open source technologies into a high-quality, easy-to-use Linux distribution. The team has been hard at work through this cycle, introducing new features and fixing bugs. Under the hood, there have been updates to many core packages, including a new 5.00-based kernel, Qt 5.12, KDE Frameworks 5.56, Plasma 5.15.4, and KDE Applications 18.12.3. 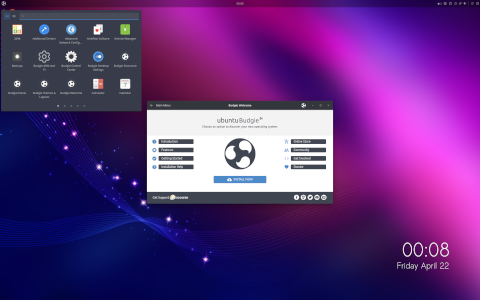 Kubuntu has seen some exciting improvements, with newer versions of Qt, updates to major packages like Krita, KDE Connect, Kstars, Latte-dock, Firefox and LibreOffice, and stability improvements to KDE Plasma. For a list of other application updates, upgrading notes and known bugs be sure to read our release notes." Download: kubuntu-19.04-desktop-amd64.iso (1,827MB, SHA256, signature, torrent, pkglist). Also available from OSDisc. Rate this project The Ubuntu Budgie team has announced the release of Ubuntu Budgie 19.04 which received nine months of support. 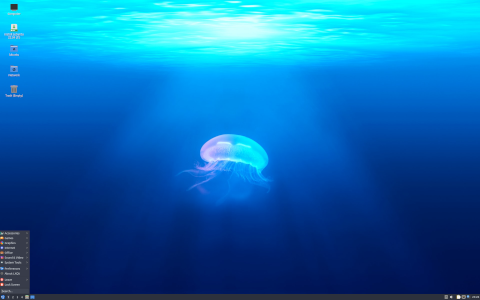 The new version includes a number of bug fixes and swaps out the Nautilus file manager for Nemo. "19.04 is supported for 9 months; our 18.04 LTS is supported for 3 years. Based on 18.04 and 18.10 experiences, feedback and suggestions that we have received from our users, the new release comes with a lot of new features, fixes and optimizations. This release is a big step towards our 20.04 LTS. Here is what you can expect with the new release: showcasing the latest Budgie desktop developments Budgie desktop v10.5 is now officially available; showcasing the latest budgie-applets available; replacing Nautilus for Nemo - retains desktop-icons capability with all the features of Nemo such as dual pane etc + integrated catfish search - lookout for our nemo-extensions in budgie-welcome recommendations; stylish reworking of our desktop together shipping a new theme QogirBudgie which can be chosen together with Pocillo and Arc; integrating all of this together with the major GNOME developments of GTK+3.24 and Mutter 3.32." Further information can be found in the project's release announcement and in the release notes. 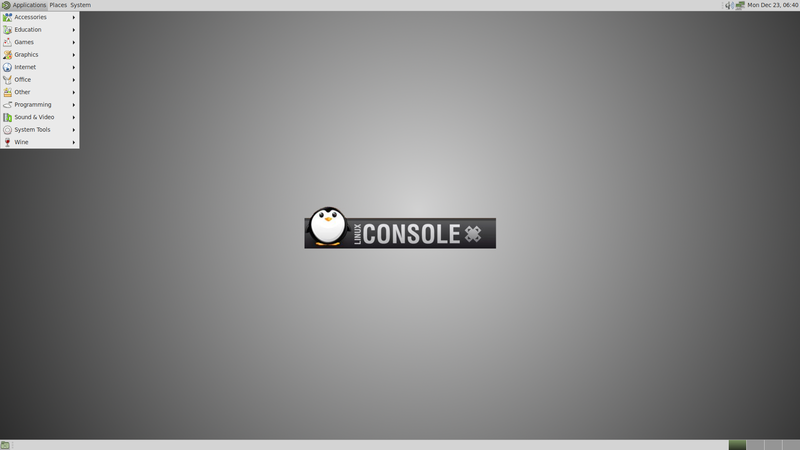 Download: ubuntu-budgie-19.04-desktop-amd64.iso (1,703MB, SHA256, signature, torrent, pkglist). Also available from OSDisc. Rate this project The Ubuntu Studio team has published a new release, Ubuntu Studio 19.04. The new release is supported for nine months and ships with a new audio plugin host called Carla. "Officially released on April 15, 2019, Carla 2.0.0 has been added to Ubuntu Studio to replace the outdated jack-rack and add more functionality. Carla is an audio plugin host that can handle many different types of plugins, from Ladspa to DSSI to LV2 to VST. In fact, if you install the WINE bridge (not installed by default), Carla can host Windows-compiled VST plugins. Carla can also act as a plugin itself, allowing your DAW to use any audio plugin. Carla also includes a patchbay, which is functionally similar to that of Patchage. Ubuntu Studio Controls has been upgraded to 1.7 with many bugfixes, and is now the preferred method for starting Jack. As such, we ask that you discontinue use of QJackCtl for starting Jack. QJackCtl remains a good way to monitor Jack’s performance and logs." Further details on the project's latest version can be found in the distribution's release announcement. Download: ubuntustudio-19.04-dvd-amd64.iso (3,132MB, SHA256, signature, torrent, pkglist). Also available from OSDisc. Rate this project Martin Wimpress has announced the launch of Ubuntu MATE 19.04 which ships with version 1.20 of the MATE desktop and updated video drivers. 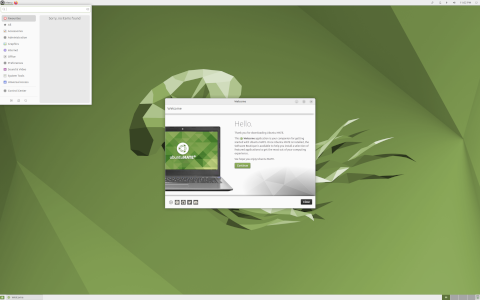 "Ubuntu MATE 19.04 is shipping with MATE Desktop 1.20. Albeit, the latest maintenance release of MATE Desktop 1.20 with some of the bug fixes and new features from MATE Desktop 1.22 included. In fact, the version of MATE Desktop being shipped in 19.04 is derived from the same MATE packages that will feature in the upcoming Debian 10 (Buster) release. You may be wondering why we're not shipping MATE Desktop 1.22? The answer: stability. MATE Desktop 1.22 introduces some underlying API changes in core components and while all first party MATE Desktop applications are compatible with the changes and completely stable, some third party applications are not. Some third party applications are big crashers now and we've not been able to fix them in time. So, we are playing it safe and sticking with MATE Desktop 1.20 and working with upstreams so we can land MATE Desktop 1.22 early in the Ubuntu MATE 19.10 development cycle." Further information can be found in the project's release announcement and in the Ubuntu release notes. Download: ubuntu-mate-19.04-desktop-amd64.iso (1,988MB, SHA256, signature, torrent, pkglist). Also available from OSDisc. Rate this project Adam Conrad has announced the release of Ubuntu 19.04, codename "Disco Dingo". The new release ships with GNOME 3.32, version 5.0 of the Linux kernel, and offers fractional scaling through both X.Org and Wayland desktop sessions. "Codenamed "Disco Dingo", 19.04 continues Ubuntu's proud tradition of integrating the latest and greatest open source technologies into a high-quality, easy-to-use Linux distribution. The team has been hard at work through this cycle, introducing new features and fixing bugs. The Ubuntu kernel has been updated to the 5.0 based Linux kernel, our default toolchain has moved to gcc 8.3 with glibc 2.29, and we've also updated to openssl 1.1.1b and gnutls 3.6.5 with TLS1.3 support. 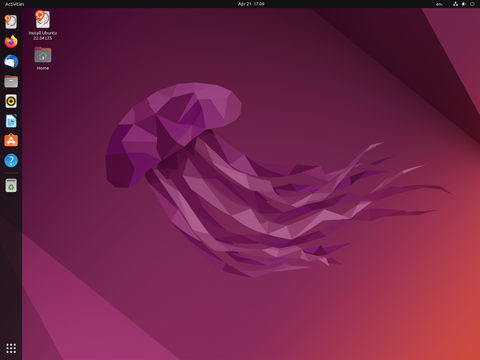 Ubuntu Desktop 19.04 introduces GNOME 3.32 with increased performance, smoother startup animations, quicker icon load times and reduced CPU+GPU load. Fractional scaling for HiDPI screens is now available in Xorg and Wayland." Further details can be found in the distribution's release announcement and in the release notes. Download (pkglist): ubuntu-19.04-desktop-amd64.iso (2,000MB, SHA256, signature, torrent), ubuntu-19.04-live-server-amd64.iso (748MB, SHA256, signature, torrent). Also available from OSDisc. 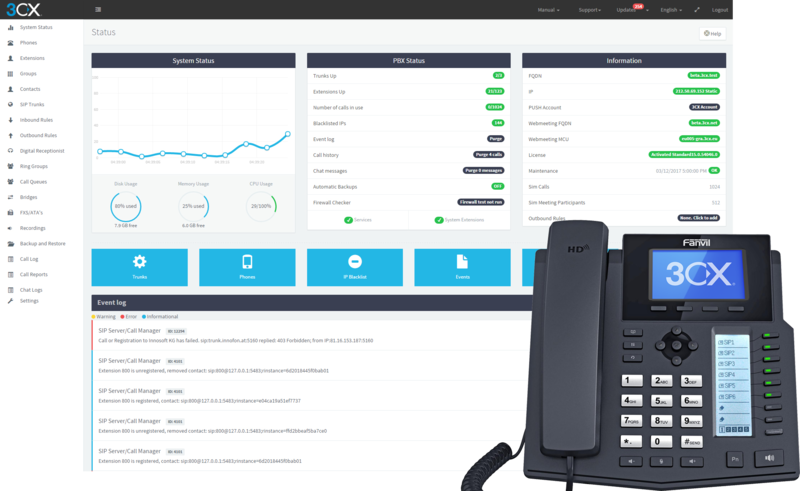 3CX Phone System is a specialist, Debian-based Linux distribution designed to run a complete unified communications platform. The 3CX client, included in the distribution, can also be installed separately on most hardware as well as the cloud. 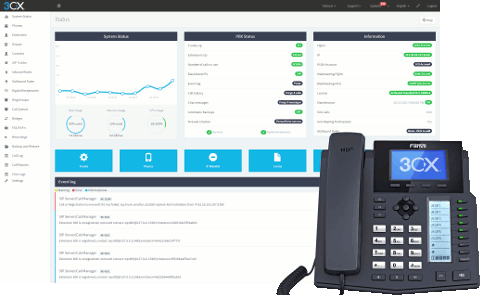 It provides a complete open standards-based IP PBX and phone system that works with popular SIP trunks and IP phones. It will automatically configure all supported peripherals and it also comes with clients for Windows, OS X, iOS and Android. The ISO image includes a free license for the 3CX PBX edition. The ISO image contains the standard Debian installer which installs a minimal system with the nginx web server, PostgreSQL database, iptables firewall and Secure Shell. Options not relevant to 3CX have been removed from the distribution. Download the installation ISO image from here: debian-9.2.1-amd64-netinst-3cx.iso (324MB).